As this term draws to a close it is very satisfying to reflect on what has been achieved by our girls. 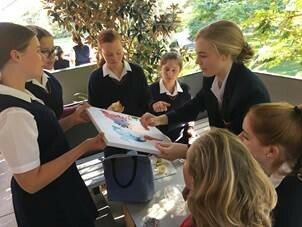 Term 3 has always been referred to as the busy term and it has been wonderful to see students celebrating achievement in a range of pursuits, whether it be personally or as part of a team. 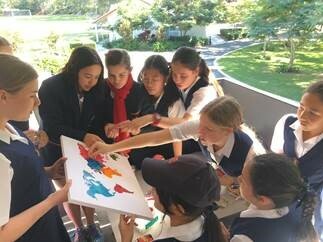 From the winter fixtures of hockey, tennis, netball and volleyball as well as the rowing season, to the drama of the House Plays, the intensity of the Debating finals as well as the many music performances, the girls have embraced these opportunities to develop their passions. 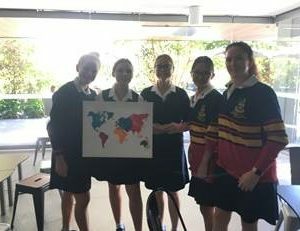 The Year 9 dance classes and the afternoon activities with TSS for Years 7and 8 also enabled students to engage with one another outside of the classroom in a social setting that helped many to make new connections and friendships. All of these opportunities add to the sense of community in the Middle School. We stress to our students the importance of the School values as a strong foundation to help guide their lives. 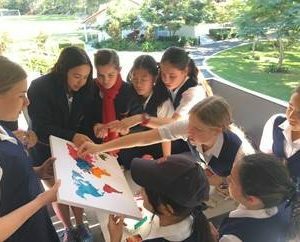 Activities undertaken by the Cultural Connection Committee illustrate this philosophy in action. 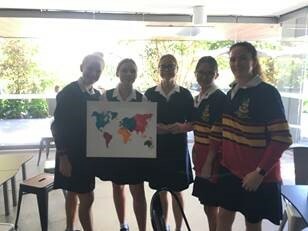 The girls hosted a trivia event asking a range of questions about cultures and traditions of countries around the world with the aim of raising awareness about our cultural diversity and its importance in facilitating collaboration and communication here at school. Many girls have worked hard throughout the term and should be proud of their efforts. Parent teacher interviews offer an important opportunity for parents to speak to their daughter’s teacher to ascertain how she is progressing in her academic studies. These will be held on Tuesday, 9 October. Parents are able to book interview times that best suit them by logging onto Parent Lounge. Please be mindful that the interviews are scheduled for five minutes and should you find a need to continue the discussion past the allotted time, then another appointment can be organised for a future date. If you find you are unable to attend on the day, please advise the School. NAPLAN individual student reports have been mailed home this week. If you do not receive your daughter’s report by the holidays, can you please contact the Middle School Centre. Information about these reports and other information about NAPLAN results can be found at the following link: http://www.nap.edu.au/naplan/parent-carer-support/. Holidays are times to do a number of important things; time to relax, clear the mind, enjoy time with friends and sleep. However, it is also important for all girls to allow some time to honestly self-assess and reflect on the term of learning and prepare for the term ahead. I encourage all girls to ensure they give some time to this process over the holiday period to prepare for Term 4. To all families, I wish you a wonderful holiday, and I look forward to welcoming our students back again for Term 4As a school we are very committed to child safety and protection So, why have parties? As we approach the holidays, parties and other social functions may be on the agenda for your daughters. It is important for parents to guide them in making informed and intelligent decisions about attending or participating in these various events. Parties are an important aspect of teenagers’ lives and they should be able to have fun and socialise with friends. However, they also need to understand how to respond if they find themselves in a challenging situation. Speak to the parents hosting the party to ensure they will be at home and providing adequate supervision. Deliver and pick up your daughter with some of her friends. Check if alcohol will be available and then make a decision if your daughter will attend or not. Discuss options of what she can do if unexpected things happen or she feels uncomfortable. Year 9: Ring Toss – assorted bottles of soft drinks, juices, energy drinks. To all families, I wish you a refreshing and peaceful holiday and I look forward to welcoming students back again for term 4.